This is even as he mandated the Senate Committee on Agriculture to investigate why the Federal Ministries of Agriculture and Finance are yet to pay compensation to all poultry farmers who lost their birds during the recent outbreak of the Avian Influenza (bird flu) in the country. The Senate President spoke when the Chief Executive Officer (CEO) of Anadariya Farms, Alhaji Usman Dantata Jr. led representatives of the Poultry Farmers’ Association of Nigeria on a visit to him in Abuja. 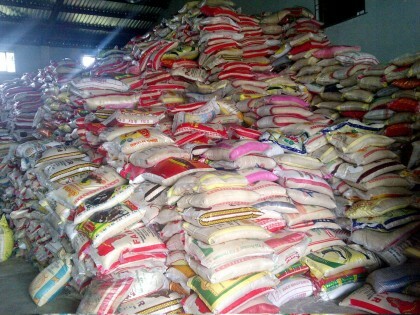 According to a statement by the Senate President’s Special Assistant on Print Media, Chuks Okocha, Saraki also tasked the Nigerian Customs Services to step up its anti- smuggling campaigns in rice, chicken and other items as “Nigeria can no longer serve as a dumping ground for imported smuggled goods. The Senate President said: “We will see what we can do particularly on the issue of non-payment of compensation to farmers that lost their birds to the Avian Influenza. These farmers who are doing well, need our encouragement. “This is where government will show true interest in Agriculture and ensure that all compensation are paid. So, Chairman Committee on Agriculture, take note and meet the Ministers of Agriculture and Finance and see what we can do,” he said. On the crippling effect of smuggling through the borders, Saraki said, “The second issue you raised which has became a very big issue is the issue of smuggling. We all know that about 40 to 50 per cent of poultry products are still being smuggled into the country and this is bad. “We will take this up aggressively. Without that, we are only wasting our time. Nothing we are going to do at this level in support of agriculture if products are still going to be smuggled in. Chicken is still being smuggled in. Rice still being smuggled in. “This is something we must fight as a nation. This is economic sabotage we are talking about and the management of the Nigeria Customs must rise up. Either they are ready to do it or we give it to people that are ready to do it.